Tashichho Dzong (Thimpu Temple) on the western bank of the Wang Chu River in Thimpu, Bhutan has been the seat of Bhutan’s civil government since the country united with the creation of a monarchy in 1907. The original Dzong (or temple) was constructed in 1216 with numerous renovations and expansions taking place since. 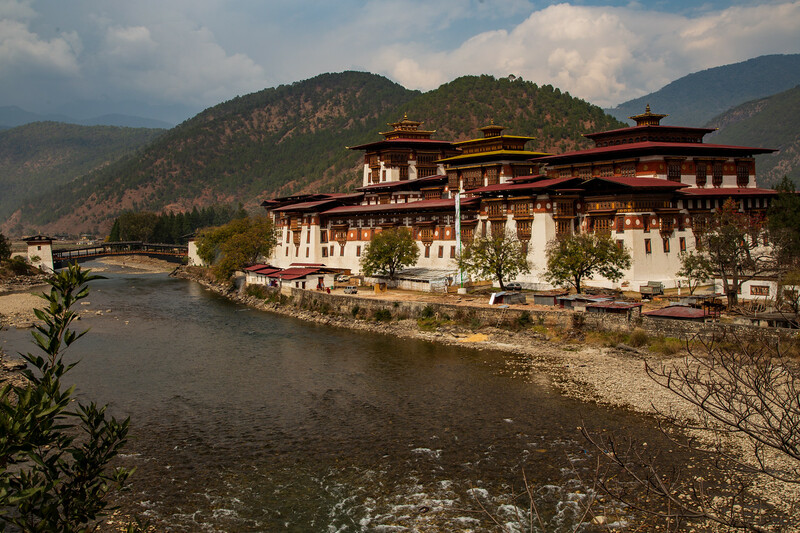 The Tashichho Dzong is one of the most popular places to visit in Thimphu and is usually included in tours to Bhutan. The Dzong is located two kilometers outside of the city. 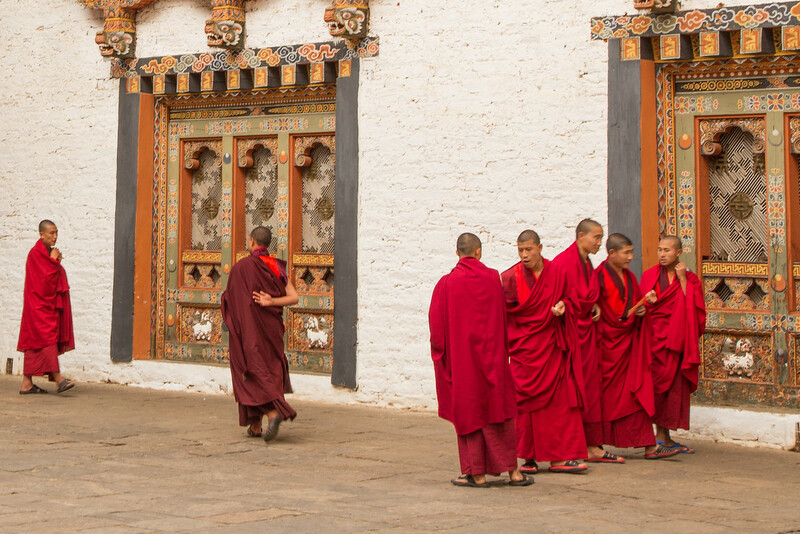 Please note that you must dress respectfully to be allowed into Bhutan’s temples or you will not be allowed to enter. Long sleeves, long pants are preferred. Don’t wear shorts or flip-flops. Tashichho Dzong currently houses the offices of the king, the throne room and the king’s offices. Former king Jigme Singye Wangchuck has retired to a modest residence on the grounds. It is a huge place with beautiful grounds that is also still an active Buddhist monastery. 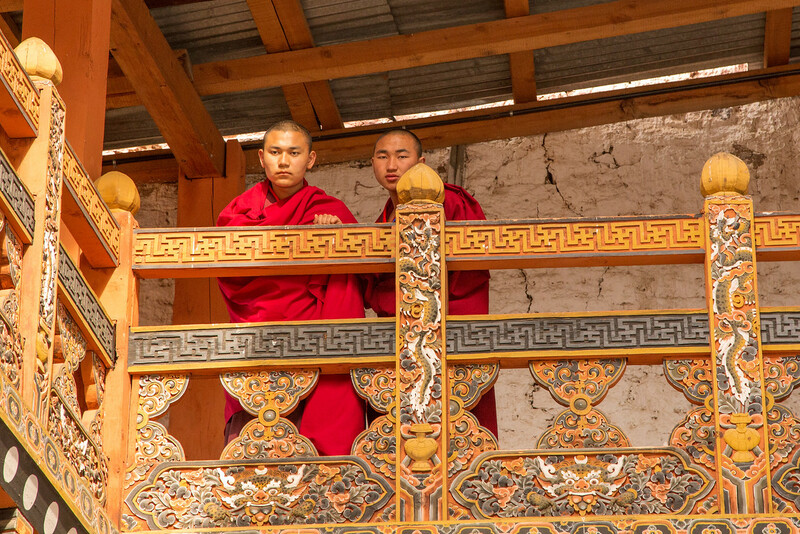 Due to security and the need for business to be conducted, much of the dzong is off limits, but it is well worth traveling to. Final shot is my fav Jon – color, movement, texture and perspective. Another stunner! 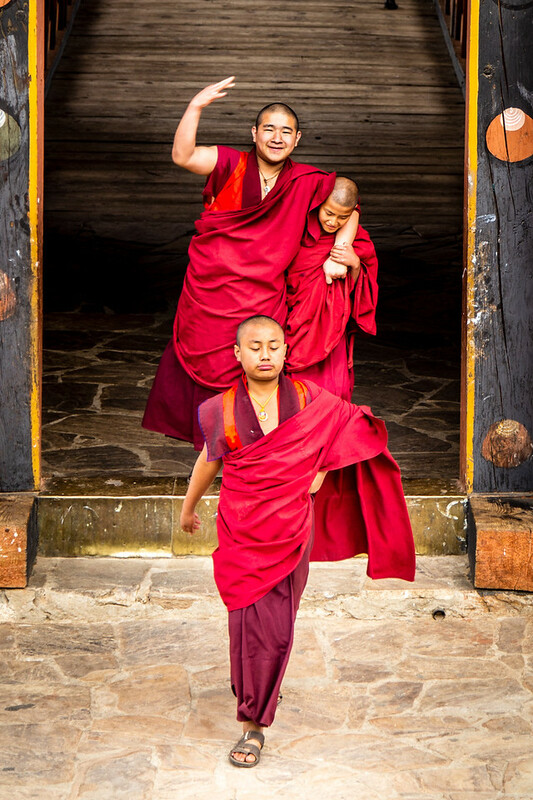 Thanks Maria, truth is in Bhutan, there is so much beauty, the hard part is deciding which way to point the camera. Great photography! All are perfect. It makes tashichho dzong thimpu temple looks alive more.